Clint Smith’s experience with firearms and Pistol Malfunction Drills goes back a long ways in history including training with some of the greats like Col Jeff Cooper. Malfunction drills are an important part of training with your daily carry gun. Everything we buy in life can and will fail at some point. I don’t care how great it is or well maintained an item is it will eventually fail. There are several common types of pistol malfunctions, and you need to know how to quickly remedy them to get back in the action. Many pistol malfunctions are magazine related. The most common gun malfunction? A magazine that is not fully seated. Every time you load your pistol, you should rack the slide to put a round in the chamber, then eject the magazine and top it off. If the gun holds 10 rounds in the magazine, why would you walk around with only nine rounds in it, right? The problem is that it is more difficult to seat a fully loaded magazine. The round on top is compressed down when it pushes up against the bottom of the slide. Inevitably, sometimes the magazine won’t be pushed in until it fully “clicks” into place. The first time the gun fires, it will kick out the empty case, but it won’t pick up the next round and feed it into the chamber. The second shot becomes a click instead of a bang. Watch Clint Smith as he goes thru his very easy to understand procedure on pistol malfunctions. Then practice it for yourself. 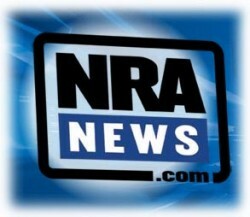 Gun training on your busy schedule? It’s hard to find time to do all the things in life that you want to get done. 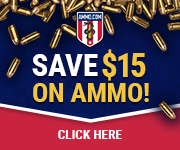 We have a solution to your gun training woes. Many of our students love our weekday and evening hours set aside for people who wish to get the training they need but don’t want to give up that precious weekend.  The reason we can offer this gun training is that we have our own classroom and have shooting privileges at the only 10 lane indoor shooting range in Southern Colorado. Many of our students rave about how easy it was for them to get the gun training they wanted and how we made the times and dates very accessible. Just tell us what Gun Training you would like to have and what date works for you and your friends and will try to make it happen. We find that people who have no gun handling experience do great in our class. We suggest you take the class before you buy a handgun. Many students who run out and buy a gun for the class are disappointed with their purchase. You will learn in class which gun is right for you. -Don’t worry if you don’t have a gun. -Training will be provided by Rick Sindeband one of the top instructors in the area. Many types of training are available on your schedule. Sign up below and let us know what your training needs are and when the best time is for you to get the training you need. Concealed Handgun Training Its hard to find time to do all the things in life that you want to get done. We have a solution to your gun training woes. Many of our students love our weekday and evening hours set aside for people who wish to get the training they need but don’t want to give up that precious weekend. The reason we can offer this gun training is that we have our own classroom and have shooting privileges at the only indoor shooting ranges in Southern Colorado. Both the content and delivery in this course were outstanding. Ricks style and approach to the course was interesting and fact-packed! I would tell anyone in Southern Colorado looking to get this done to contact Rick. You will learn what is considered to be the very best gun handling skills so that you can be confident that you can handle your gun safely in and out of your home. Get the Training when you want. We will make it happen on your schedule. Many types of training are available on your schedule. Sign up below and let us know what your training needs are and when the best time is for you to get the training you need. When you make a choice to conceal carry a gun it is important to get proper training and practice so you can handle your equipment safely and effectively. One area usually missing is learning to draw from your conceal carry holster. When you draw well, it can be the difference between life and death. During this class you will learn and practice the steps needed to draw properly from a conceal carry holster. With practice you will master the steps and combine them into one fluid motion. The draw is one of the most important aspects of conceal carry and handgun self defense . The instructors for the seminar are Rick Sindeband and Patrick Watts. Both instructors have over 20 years of experience with firearms. Where: Pueblo Municipal Shooters, Inc.